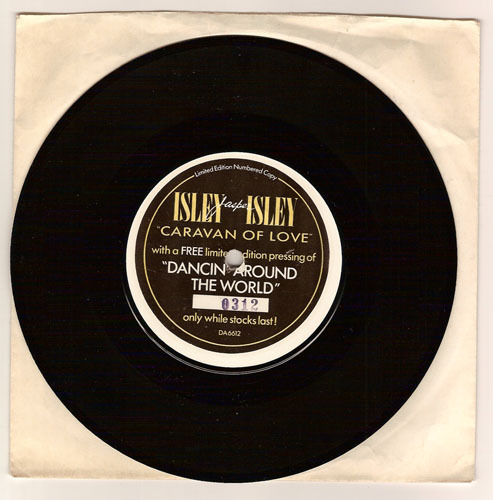 Home :: Vinyl 45 toeren SINGLES :: Promo :: ISLEY JASPER ISLEY "Caravan of love"
ISLEY JASPER ISLEY "Caravan of love"
Single DA 6612 nr. 0312 van Isley "Jasper" Isley met CARAVAN OF LOVE. with a free limited edition pressing of "Dancin' around the world"
Artikel is toegevoegd op donderdag 24 september, 2009.